The ugly, grotesque alien is one of science fiction’s most enduring tropes. Where usually this ugly alien is the embodiment of evil, science fiction writer Octavia Butler refuses to represent it as a single-dimensional being. While she constructs insectoid and many-tentacled beings that might feel physically familiar as monsters, she endows them with humanity and intertwines them with humans in relationships that muddy the waters of power, consent, repulsion, and desire. 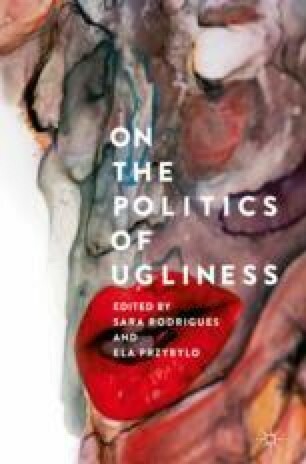 This chapter argues that Butler’s “creepy crawlies” point the way towards a black feminist-queer politics of the grotesque, which troubles a linear theory of liberation just as it does the concept of an integral community. It examines Butler’s revisions of two figures, the ugly alien and the traitorous black matriarch, as they are articulated in Dawn, the first novel of the Xenogenesis series. By connecting these figures both figuratively and materially, Butler calls into question a post-Black Power movement nationalist discourse that premises hetero-normativity and properly disciplined womanhood as conditions for community progress. By opening the human body to queering disruptions, Butler proposes that we rethink the desirability of the black communal body—a beautiful, orderly being that must present its best face to the world.